Soccer is fun, soccer unites. 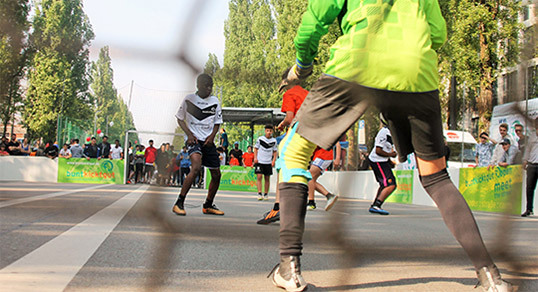 Since 1997, the intercultural Street Soccer League gives young people with diverse backgrounds – be it cultural, ethnical or social – the opportunity to experience fairness and inclusion. All year around. On and off the soccer field. Mutual tolerance and fairness are the basis for all peaceful interactions. The kids and adolescents are the “makers” of the league. They participate as soccer players, as league councils, as buntkicker-journalists, as referees or street soccer workers. Active participation, integration and identification are the basic pillars of this project. The ambitions of the organization goes back to the 90ies when refugee work was urgently needed in Munich due to new waves of immigration and thousands of war refugees arriving from former Yugoslavia. It was then that Rüdiger Heid and his comrade-in-arms started the project. Today buntkicktgut is open to everyone and from time to time even turns into a talent scouting location. 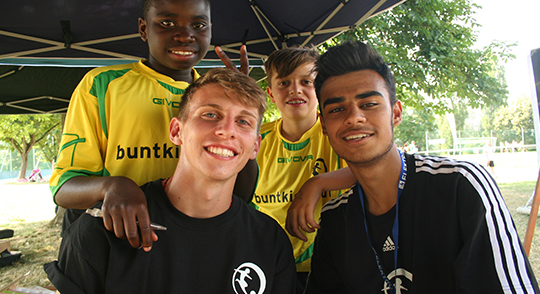 Why does the FINGES Gmbh support the work of buntkicktgut? As a former professional soccer player and a passionate coach, Michael of course has a special relationship to all projects related to soccer. He can relate to the goals and ambitions of these kids. He knows what it feels like to be dreaming of a soccer career when you are young and believes that sport is a wonderful tool to unite people. Because when you are on the soccer field, cultural differences simply do not matter. That’s why he believes the work of buntkicktgut is of great importance. The sympathetic nature of Rüdiger Heid and his team immediately convinced us. Their work and their attitude is inspirational. If you get to know the people behind a project or organization, you can tell very soon whether you will make a good match or not. Was buntkicktgut in the race form the start? We were considering many different organizations, did our research, held talks with all kinds of people and were eager to make sure to get to know who and what exactly was behind every offer. Buntkicktgut we liked from the start and the liking was mutual. In the end it just felt right to make the decision to support buntkicktgut. Especially because our support can be on very different levels. What exactly does your support look like? 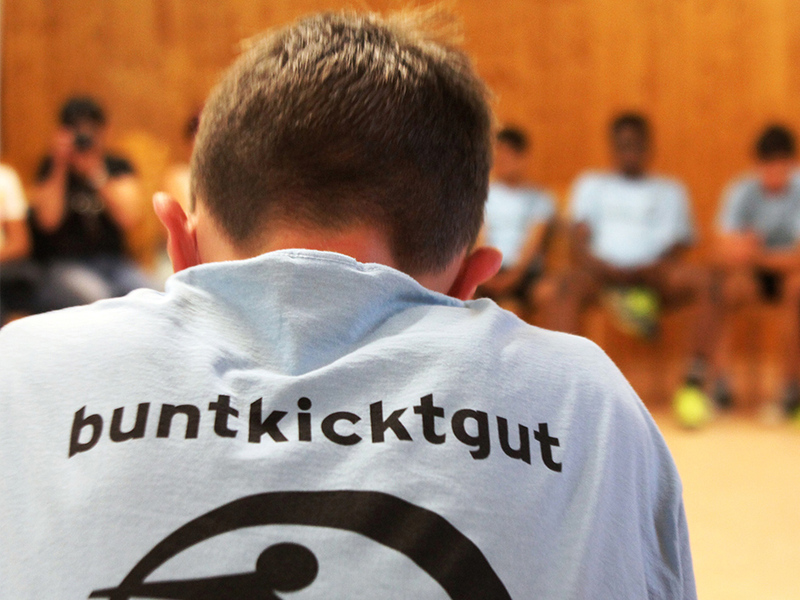 We support buntkicktgut with all our know-how concerning player counseling, financial and insurance matters. 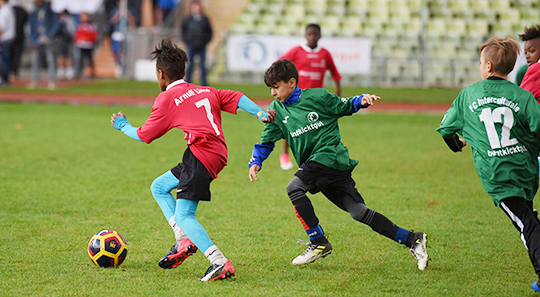 We want to help the kids to reach their athletic goals and for some of them to turn their talents into a career. Of course we help in a more classical way as well by raising funds, by recommending buntkicktgut throughout our broad network. A short footage on buntkicktgut as shown on münchen.tv. But their work is not limited to projects in Munich. 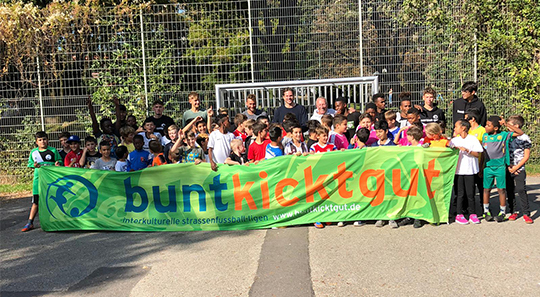 There are already various buntkicktgut projects in Berlin, Düsseldorf, Dortmund, Hamburg, Ludwigshafen am Rhein, in Niederbayern, Oberschwaben, Zürich und Basel. All over Germany there are about 4.500 kids and adolescent members. People from all over the world – connected and united by their passion for soccer.